Julian is the founder of Julian Gray Associates and has provided assistance to a variety of clients and their families for over 20 years in the areas of Medicaid Planning, Veterans' Benefits, special needs planning and related Estate Planning and Tax issues. Julian is a lifelong resident of Pennsylvania. He received his Bachelor's degree from Penn State University and his law degree from Duquesne University School of Law. 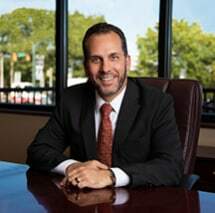 Julian is the managing attorney of the Firm and oversees the Firm's various practice areas. Julian concentrates in the areas of Elder Law, including Estate Planning and Administration, and related Real Estate transactions. Julian is a member of the Allegheny County Bar Association, Beaver County Bar Association, Pennsylvania Bar Association, and the National Academy of Elder Law Attorneys. Mr. Gray is one of only a few Certified Elder Law Attorneys (CELA) in Allegheny County, a designation conferred by the National Elder Law Foundation. The CELA designation is the only Elder Law certification accredited by the American Bar Association and recognized by the Pennsylvania Supreme Court. For more than 20 years, Mr. Gray has represented individuals and families with the complex legal, financial, tax and real estate issues involved in a variety of elder law and estate planning issues, with a focus on asset protection planning for senior citizens in the areas of Medicaid, Medicare and Veterans' benefits. He also represents clients of all ages and their families in the area of Special Needs Planning. Julian is a frequent author and lecturer for continuing legal education programs sponsored by the Pennsylvania Bar Institute, as well as continuing education programs accredited by the American Institute of Certified Public Accountants. Mr. Gray has been recognized as a Pennsylvania Superlawyer and in Best Lawyers in America in the area of Elder Law. Julian is a member of the Elder Law Section of the Pennsylvania Bar Association, where he serves as Chair Elect to the Elder Law Section Council. Julian also serves as a Director of the Pennsylvania Chapter of the National Academy of Elder Law Attorneys, and is an accredited attorney with the Department of Veteran Affairs. Julian is the Western Pennsylvania representative of the Special Needs Alliance (SNA) and has recently been selected to the 2017 Board of Directors for the Special Needs Alliance and will serve as Co-Chair for the SNA's Marketing Committee. Membership to SNA is selective and competitive, and is extended by invitation only. Julian joins a select group of attorneys who comprise the SNA. These members serve on the boards of national, state and local organizations serving the disability community. They are current, former or incoming executive members of prominent legal and advocacy organizations such as the National Academy of Elder Law Attorneys, the American Bar Association, the American College of Trusts and Estates Counsel and the bar associations of their respective states. Julian Co-Authors a monthly Elder Law column with Frank A. Petrich, CELA which appears in the Business Section of the Pittsburgh Post-Gazette.